Fifty Linden Friday soon comes around doesn’t it? 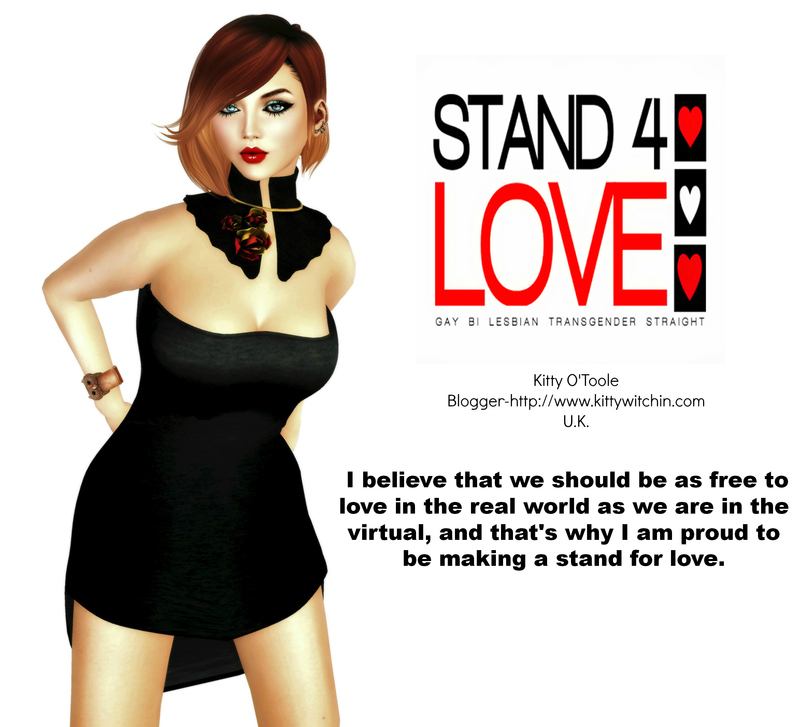 It’s a proper Second Life success story; every week we get excited with hungry anticipation about who will be participating and what goodies will be on offer. There’s usually something for every taste and a great variety of products too, and this tried and tested formula has ensured the success of Fifty Linden Friday for over a year now, a prosperity that looks destined to continue. There were a number of items that really appealled to me this week, some of which you can see in the photos accompanying this article. First up, Tiny Bird’s ‘Jailbird’ hair, a fabulous style incorporating a colour-change scarf enclosing a loose up-do replete with fringe. It’s an absolute steal at L$50, and is available in four colours. I say get them all, this is a hugely versatile look and four colours plus the colour-change scarf for L$200 is a gift. I’m also wearing an Autumnally-themed top from Surf Couture, a store that makes some of the most beautifully detailed clothing upon the grid. I’m a huge-fan, and this top fits beautifully and really looks the part when teamed with the Tiny Bird hair. I only have a small complaint- the seams on the sleeves are very smudgy at the edges. This isn’t a problem that is repeated on the rest of the garment, so for L$50 I can forgive. By far the most covetable items this week are the entries from The Loft. First up is the awesome drinks trolley, as highly detailed as you would expect a Loft piece to be. It looks brilliant, with baked in shadow and fabulous colouring. I love the bottle labels and the bowl of lemon and lime wedges; it’s beautifully executed and great for creating atmosphere, and only 19 prims to boot. I’ve lost count of how many sofas there are in my inventory, but I sure couldn’t pass up the opportunity for another! This is the ‘Alex’ couch from The Loft, and a must-have. Again, it’s texture and shade perfect and includes very realistic quality sitting animations for both male and female avatars. I love the whole Loft ethos-by never skimping on quality, even on a Fifty Linden Friday item, they prove without a doubt what an excellent brand it is. Top picture; Kitty wears hair from Tiny Bird (FLF) and top by Surf Co.(FLF) Jeans are by Medley, flats are by Armidi, bangles by Exodi. Bottom Picture; Kitty wears hair from Tiny Bird (FLF) top by Surf Co. ( NOT FLF but spotted whilst instore and had to have!) jeans and flats by Medley.